While tuning Oracle ADF application in our team, we have discovered extremely good approach for application tuning on page load time. 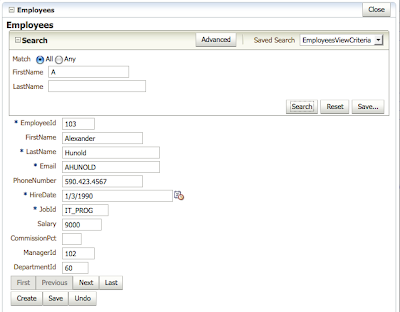 You can read about this problem in my previous blog post as well - Improving Performance in ADF Applications - Page Load Time in CRUD Forms. Main idea of tuning approach is to prevent default query execution on page load and do it as easy as possible. 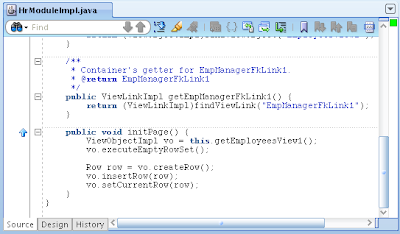 We have achieved this by invoking executeEmptyRowSet() method for master View Object before opening page itself. 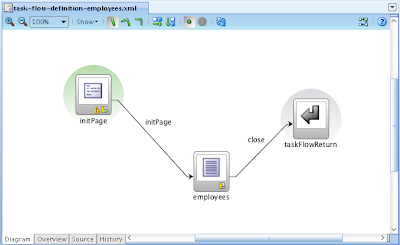 We are performing invocation from Method Call activity in ADF Task Flow. 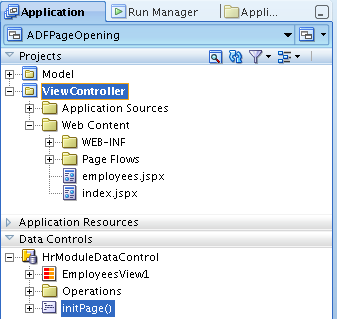 Download sample application - ADFPageOpening.zip. En este artículo se explora una carateristica de ADF Business Componentes que permite evitar realizar consultas innecesarias a la base de datos mejorando la performance de las aplicaciones. 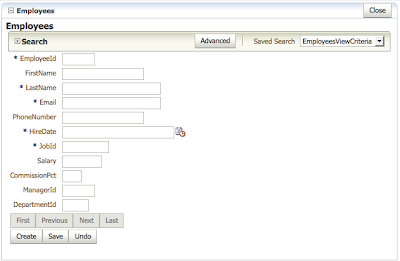 I have a ViewObject Query table(select * from table) which loads by default on page load on my .jspx page. Hi your example is working but the initPage() methods is called twice,so its inserting two records in the viewObject so i cant perform other operations on the page like execute etc..
No, is called once - this is task flow method call. this works which is fine by me. For the sake of curiosity and continuous improvement :), just wanna know whether after these years, this is still the best approach for such case. I have one scenario could you help to solve that. How achieve this in java using stored procedure please help me.